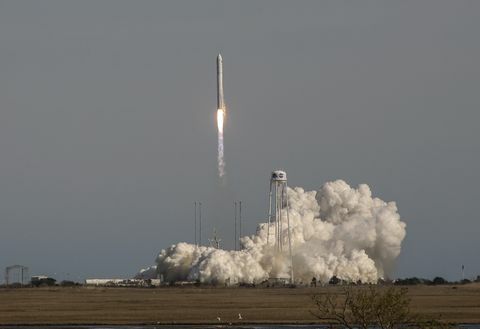 With approximately 7,400 pounds of science experiments, tools and food, tightly packed inside, Northrop Grumman’s Cygnus spacecraft launched aboard the company’s Antares rocket and began its journey to the International Space Station on Saturday, Nov. 17. Just two days later, the spacecraft reached its destination where it was greeted with a warm welcome from three astronauts anxiously awaiting its arrival. This mission marked the company’s 10th cargo delivery to the orbiting laboratory which is also celebrating its 20th anniversary this month. 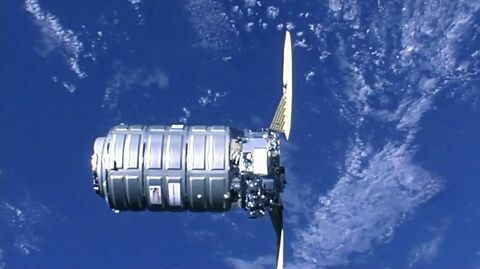 While the delivery of cargo and removal of trash has become almost routine for the cargo module, each mission is unique and continues to demonstrate the future capabilities of the Cygnus spacecraft. 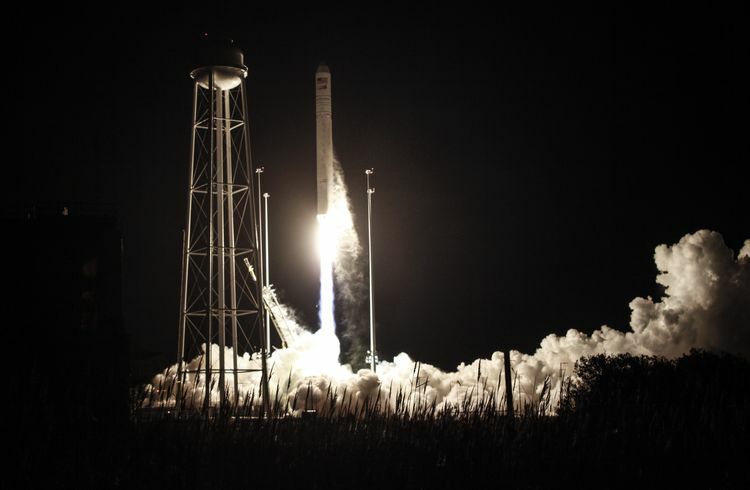 The NG-10 mission takes off from NASA’s Wallops Flight Facility at 4:01 a.m. EST on Nov. 17, 2018. For this mission, known as NG-10, Cygnus was named in honor of NASA astronaut John Young. Young was NASA's longest serving astronaut, and a pioneer in the field of human spaceflight who positioned future astronauts to live and work in space. His bravery and record-setting accomplishments pushed the boundaries of human space exploration, making him an ideal honoree for the NG-10 mission. Early on Nov. 19, the S.S. John Young performed flawlessly as it maneuvered to dock with the International Space Station to begin its second phase of the mission. Once all the cargo has been unloaded, which includes ice cream for the astronauts, Cygnus will be filled with disposable items and unberthed from the station. Although it’s not a glamorous task, the removal of unwanted items is critical to the operation of the space station and is a unique service provided by the Cygnus vehicle. Upon leaving the International Space Station early next year, Cygnus will release three cube satellites (CubeSats) from the attached Nanoracks deployer both above and below the International Space Station, which is another way Northrop Grumman works to meet the needs of various customers. One of the CubeSats, known as MYSat-1, is the first satellite developed by Khalifa University in Abu Dhabi, United Arab Emirates. MYSat-1 carries an imager and an experimental Lithium Ion battery designed by the university. MYSat-1 was developed as part of Khalifa’s Space Systems and Technology Concentration, a joint program established in 2015 in collaboration with UAE-based satellite operator Al Yah Satellite Communications Company (Yahsat) and Northrop Grumman. Engineers from both companies helped develop the initial curriculum for the concentration and provided guidance and mentorship during the design phase of the MYSat-1 satellite. As another example of Cygnus’ expanded capabilities, the spacecraft is prepared to support the Slingshot Cubesat Deployer System, a flexible platform that can fly hosted payloads and CubeSats. 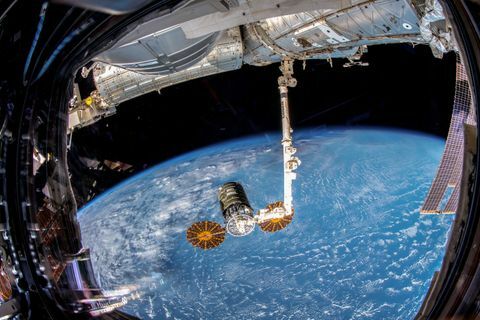 The mission is the first flight for the Slingshot system which is scheduled to be installed onto the Cygnus spacecraft by NASA astronauts before the spacecraft departs. Upon completion of these secondary missions, Cygnus will perform a safe, destructive reentry into Earth’s atmosphere over the Pacific Ocean. 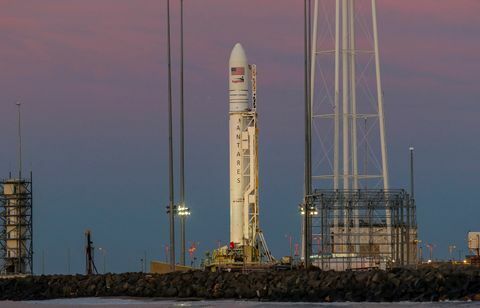 Northrop Grumman’s next Cygnus launch, NG-11, will take place in spring 2019 and conclude the company’s work under the Commercial Resupply Services (CRS)-1 contract. Under this contract, Cygnus will deliver approximately 66,000 pounds (30,000 kilograms) of cargo to the International Space Station. Beginning in the second half of 2019, Northrop Grumman will carry out a minimum of six initial cargo missions under NASA’s CRS-2 contract. Nov. 20, 2018 marked the 20th anniversary of the beginning of construction of the International Space Station, one of the most significant scientific achievements of our time. Northrop Grumman is honored to support the critical research that has been performed on the International Space Station for almost two decades. We look forward to expanding our role with Cygnus through future activities such as increased science accommodation and extended stays in orbit.